Brrrrrr… It is cold outside, like cold to your bones, I don’t want to go outside to save my life cold out! It’s been cold like this all week and supposedly it’s going to break next week but until then it’s really just miserable. In my mind there is really only one thing to cook and eat in weather like this and that is soup – warm, hearty, slightly spicy soup. Soup to warm the bones and the soul. The only other thing that warms me on a day like today is yoga, and thank goodness to yoga vida for getting my body moving all week. I had a great yoga class with Kyle yesterday who started class talking about the seasons, summer is a time for opening, expanding and blooming while when in winter we want to hunker down and lay down roots. With this in mind I think it’s important to note that the vegetables in season during winter are root vegies, turnips, potatoes, radishes, and carrots. We connect with our surroundings and ourselves through eating seasonally and what sounds better on a cold day then roasting up some root vegetables, warming the house through a hot oven and eating hearty winter vegetables. 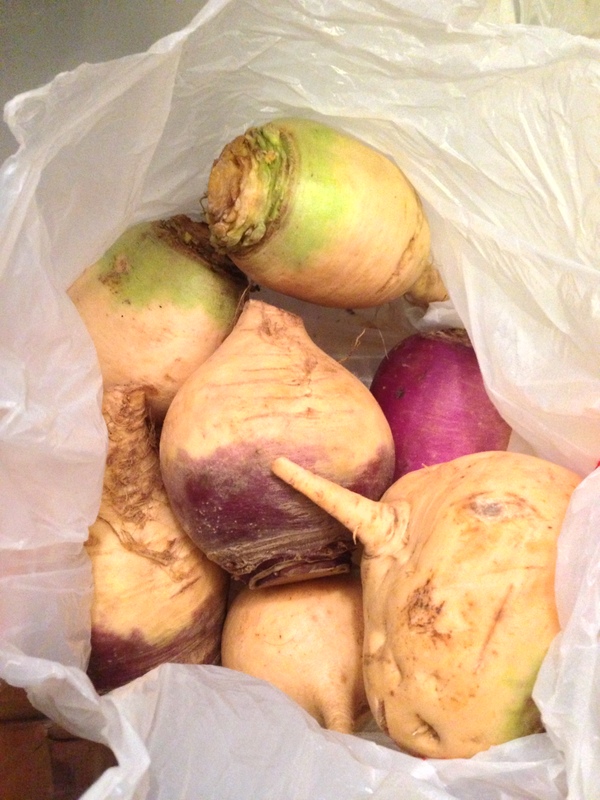 My last trip to the farmers market on an exceptionally cold day yielded me with more turnips than I could carry, yellow turnips, white turnips, turnips for days. I was thinking about what to do with all these wonderful turnips when it occurred to me that a soup with turnips and cauliflower might yield just the right level of creaminess and heartiness I was looking for. I had some leftover fresh turmeric root from my excursion to China Town and decided to use that along with some curry to add a little warmth and detoxifying. 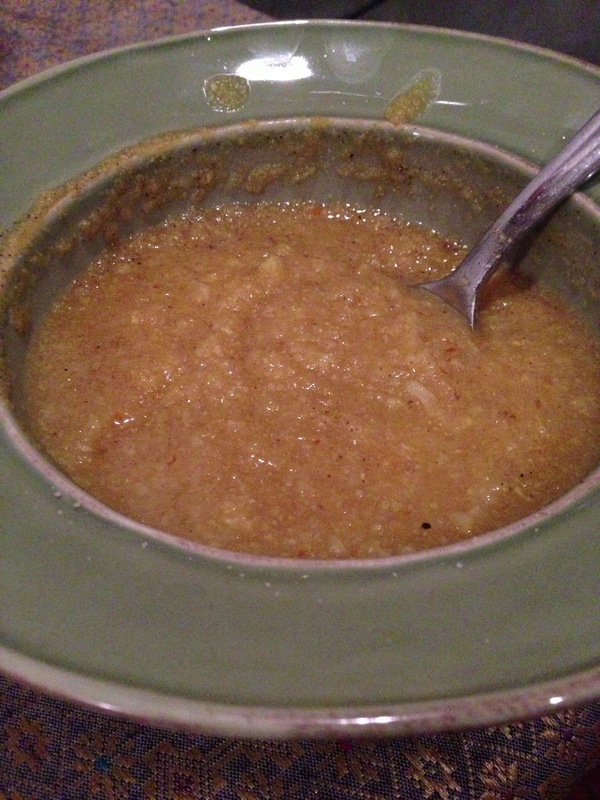 The soup itself is really simple, you can substitute the fresh turmeric for powdered of course, and adjust the other spices to your level of heat.